Fast-paced 30-minute weekly breakdown of the top stories, developments and upcoming fights. A new episode will be available on ESPN+ each Wednesday starting today. 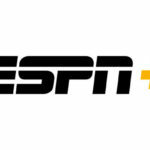 In addition to the regularly scheduled episodes, ESPN+ will stream special episodes before and after major mixed martial arts events. Will also be available on the ESPN App, ESPN.com and wherever podcasts are available. It also features hundreds of MLB, NHL and MLS games, Grand Slam tennis, PGA Tour golf, college sports, international rugby, cricket, the full library of ESPN Films (including 30 for 30) and more. Fans can subscribe to ESPN+ for just $4.99 a month (or $49.99 per year) and cancel at any time. 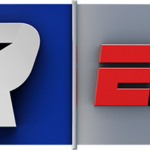 ESPN+ is an integrated part of the completely redesigned ESPN App.